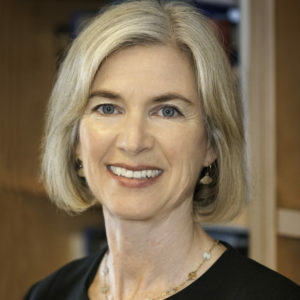 The Center for Genomic Editing and Recording (CGER) is an NIH-funded collaboration between the Doudna, Joung, Liu, and Weissman labs that is seeking to build on CRISPR-Cas9 genome engineering technology to expand greatly our ability to detect, alter and record the sequence and output of the genome in individual cells and tissues. Aim I. Develop next-generation genome editing technologies to enable rapid, efficient and accurate genome alterations. We will create methods to generate and detect the broadest possible set of desired sequence alterations in virtually any locus with high efficiency and specificity. Base editing combines a single-stranded DNA specific deaminase enzyme with catalytically impaired Cas9 to induce a transition mutation at either a C:G or A:T base pair within DNA. DNA with a target C or A (red) at a locus specified by a guide RNA (green) is bound by catalytically impaired Cas9 (blue) to expose a small bubble of single-stranded DNA. Cytidine or adenine deamination by the tethered APOBEC or evolved TadA* enzyme converts the single stranded C→U or A→I, respectively. The resulting mismatch can be permanently converted to either an A:T or a G:C base pair following DNA replication or repair. Aim II. Implement a high-throughput pipeline to identify and interrogate suppressors of sequence variants associated with human disease. We will identify and illuminate the relationships between human sequence variation, gene expression and interactions among groups of genes and regulatory elements. This will be enabled by the development of new methods, based on single cell RNA-seq, for the massively parallel monitoring of changes in the mRNA output of cells in response to perturbations in gene expression. g lineage tracer that expresses these DNA barcodes as mRNAs. Paired with droplet-based single cell RNA-seq technology, this will permit us to trace the lineage of hundreds of thousands of cells along with their functional cell state as revealed by their RNA-seq signature, thus connecting the cell’s present state with its past history. We will produce a toolkit for molecular recorders, including the biological reagents required for their execution and the computational framework needed for their analysis. Finally, we will extend our molecular recorder approach to capture other cellular information such as the timing of differentiation, signaling activity and acquisition of mutations. The second CGER annual retreat is scheduled to occur on April 17-19. We will be meeting at the The Broad Institute in Cambridge, MA. The retreat will begin at 6:00pm on Wednesday April 17 with a dinner and will end after a lunch Friday April 19, with a local activity following. For more details, please contact Meredith Triplet at mtriplet@berkeley.edu . Komor AC, Badran AH, Liu DR. Editing the Genome Without Double-Stranded DNA Breaks. ACS chemical biology. 2018 February 16;13(2):383-388. PubMed PMID: 28957631; PubMed Central PMCID: PMC5891729. Kleinstiver BP, Sousa AA, Walton RT, Tak YE, Hsu JY, Clement K, Welch MM, Horng JE, Malagon-Lopez J, Scarfò I, Maus MV, Pinello L, Aryee MJ, Joung JK. 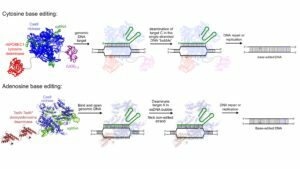 Engineered CRISPR-Cas12a variants with increased activities and improved targeting ranges for gene, epigenetic and base editing. Nat Biotechnol. 2019 Feb 11. doi: 10.1038/s41587-018-0011-0. [Epub ahead of print] PubMed PMID: 30742127. Komor, A. C.; Badran, A. H.; Liu, D. R. Editing the Genome Without Double-Stranded DNA Breaks. ACS Chem. Biol. 2018, 13, 383-388. Tang, W.; Liu, D. R. Rewriteable Multi-Event Analog Recording in Bacterial and Mammalian Cells. Science in press, available online. 2018. Hu, J. H.; Miller, S. M.; Geurts, M. H.; Tang, W.; Chen, L.; Sun, N.; Zeina, C.; Gao, X.; Rees. H. A.; Lin, Z.; Liu, D. R. Evolved Cas9 Variants with Broad PAM Compatibility and High DNA Specificity. Nature in press, available online 2018. Gaudelli, N. M.; Komor, A. C.; Rees, H. A.; Packer, M. S.; Badran, A. H.; Bryson, D. I.; Liu, D. R. Programmable Base Editing of A•T to G•C in Genomic DNA Without DNA Cleavage. Nature 2017, 551, 464-471. Chen, J. S.; Dagdas, Y. S.; Kleinstiver, B. P.; Welch, M. M.; Sousa, A. A.; Harrington, L. B.; Sternberg, S. H.; Joung, J. K.; Yildiz, A.; Doudna, J. A. Enhanced Proofreading Governs CRISPR–Cas9 Targeting Accuracy. Nature 2017, 550 (7676), 407–410. Tak, Y. E.; Kleinstiver, B. P.; Nuñez, J. K.; Hsu, J. Y.; Horng, J. E.; Gong, J.; Weissman, J. S.; Joung, J. K. Inducible and Multiplex Gene Regulation Using CRISPR-Cpf1-Based Transcription Factors. Nat. Methods 2017, 14 (12), 1163–1166. 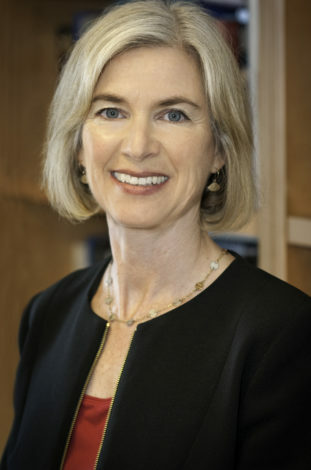 Dr. Jennifer Doudna is a member of the departments of Molecular and Cell Biology and Chemistry at UC Berkeley, the Howard Hughes Medical Institute, and Lawrence Berkeley National Lab, along with the National Academy of Sciences, and the American Academy of Arts and Sciences. Feel free to use this short bio and picture for announcements. J. Keith Joung is currently Desmond and Ann Heathwood Research Scholar, Pathologist, and Associate Chief of Pathology for Research at Massachusetts General Hospital (MGH) and is Professor of Pathology at Harvard Medical School. He is also a member of the Center for Cancer Research and the Center for Computational and Integrative Biology at MGH. Dr. Joung has been a pioneer in the development of important technologies for targeted genome editing and epigenome editing of human cells. 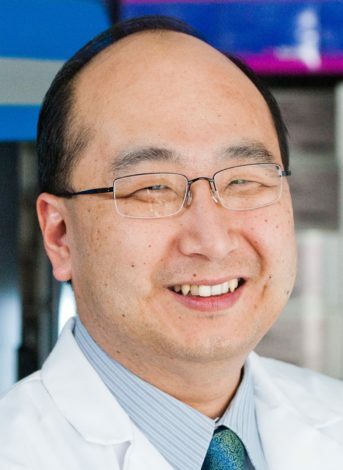 He has received numerous awards including an NIH Director’s Pioneer Award, an NIH Director’s Transformative Research Project R01 Award, the MGH Research Scholar Award, an NIH R35 MIRA (Maximizing Investigators Research Award), election into the American Association of University Pathologists, and designation as a “Highly Cited Researcher” in 2016 and 2017 by Thomson Reuters/Clarivate Analytics. He serves on the Board of Directors for the American Society of Gene and Cell Therapy and the editorial boards of Genome Biology, Human Gene Therapy, and Trends in Biotechnology. 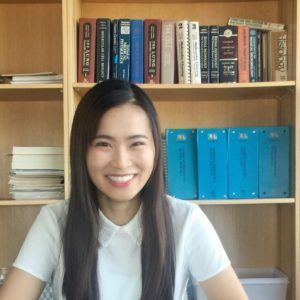 Dr. Joung holds a Ph.D. in genetics from Harvard University, an M.D. from Harvard Medical School and an A.B. in biochemical sciences from Harvard College. 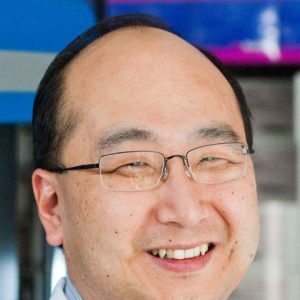 David R. Liu is the Richard Merkin Professor, Director of the Merkin Institute of Transformative Technologies in Healthcare, and Vice-Chair of the Faculty at the Broad Institute of Harvard and MIT; Professor of Chemistry and Chemical Biology at Harvard University; and Howard Hughes Medical Institute Investigator. Liu graduated first in his class at Harvard in 1994. He performed synthetic organic and bioorganic chemistry research on sterol biosynthesis under Professor E. J. Corey’s guidance as an undergraduate. 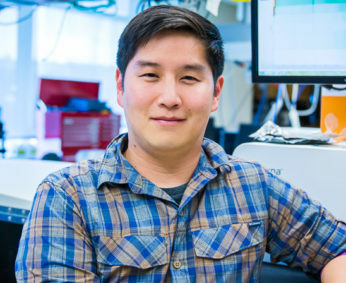 During his Ph.D. research with Professor Peter Schultz at U. C. Berkeley, Liu initiated the first general effort to expand the genetic code in living cells. He earned his Ph.D. in 1999 and became Assistant Professor of Chemistry and Chemical Biology at Harvard University in the same year. 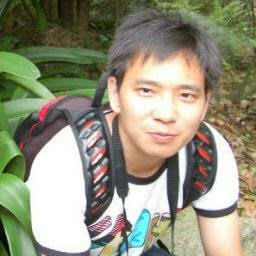 He was promoted to Associate Professor in 2003 and to Full Professor in 2005. 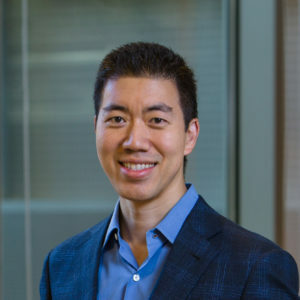 Liu became a Howard Hughes Medical Institute Investigator in 2005 and joined the JASONs, academic science advisors to the U.S. government, in 2009. Liu has earned several university-wide distinctions for teaching at Harvard, including the Joseph R. Levenson Memorial Teaching Prize, the Roslyn Abramson Award, and a Harvard College Professorship. He has published more than 150 papers and is the inventor of more than 50 issued patents. 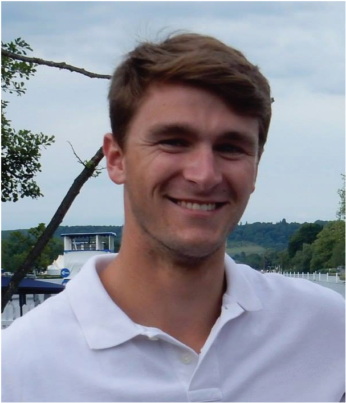 His research accomplishments have earned distinctions including the Ronald Breslow Award for Biomimetic Chemistry, the American Chemical Society Pure Chemistry Award, the Arthur C. Cope Young Scholar Award, and awards from the Sloan Foundation, Beckman Foundation, NSF CAREER Program, and Searle Scholars Program. In 2016 he was named one of the Top 20 Translational Researchers in the world by Nature Biotechnology, and in 2017 was named to the Nature’s 10 researchers in world and to the Foreign Policy Leading Global Thinkers. Professor Liu’s research integrates chemistry and evolution to illuminate biology and enable next-generation therapeutics. His major research interests include the engineering, evolution, and in vivo delivery of genome editing proteins such as base editors to study and treat genetic diseases; the evolution of proteins with novel therapeutic potential using phage-assisted continuous evolution (PACE); and the discovery of bioactive synthetic small molecules and synthetic polymers through DNA-templated organic synthesis. Base editing (named one of four 2017 Breakthrough of the Year finalists by Science), PACE, and DNA-templated synthesis are three examples of technologies pioneered in his laboratory. 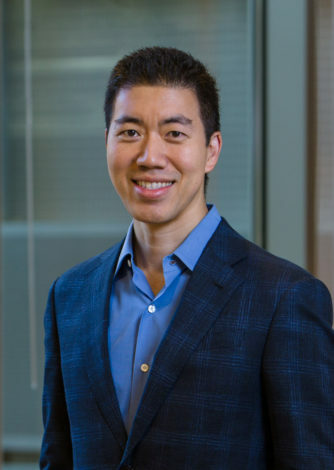 He is the scientific founder or co-founder of several biotechnology and therapeutics companies, including Ensemble Therapeutics, Permeon Biologics, Editas Medicine, Pairwise Plants, and Beam Therapeutics. Jonathan Weissman, Ph.D., studies how cells ensure that proteins fold into their correct shape, as well as the role of protein misfolding in disease and normal physiology. He is also widely recognized for building innovative tools for broadly exploring organizational principles of biological systems. These include ribosome profiling, which globally monitors protein translation, and CRIPSRi/a for controlling the expression of human genes and rewiring the epigenome. Dr. Weissman is a professor at the University of California San Francisco and an Investigator at the Howard Hughes Medical Institute. He is a member of the National Academy of Sciences, a member of the Scientific Advisory Board for Amgen, co-director of the Innovative Genome Initiative of Berkeley and UCSF, and a member of the President’s Advisory Group for the Chan-Zuckerberg Biohub. Dr. Weissman has received numerous awards including the Beverly and Raymond Sackler International Prize in Biophysics (2008), The Keith Porter Award Lecture from the American Society of Cell Biology (2015) and the National Academy Science Award for Scientific Discovery (2015). 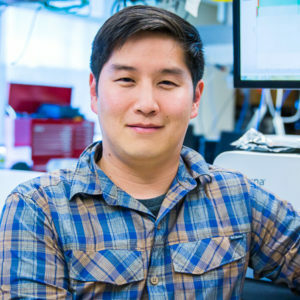 Eric Chow is an Adjunct Assistant Professor in the Department of Biochemistry and Biophysics at the University of California, San Francisco. He earned his PhD under Jeffrey Cox at UCSF studying M. tuberculosis virulence using genomics and lipidomics. Eric also directs the UCSF Center for Advanced Technology (CAT), a core that houses technology and equipment in a central facility accessible to all researchers. The CAT has a major focus on genomics. Eric’s lab focuses on the development of new tools in the NGS space with goals of making methods, cheaper, better, and faster. His lab has a strong interest pushing applications in the single-cell profiling space. 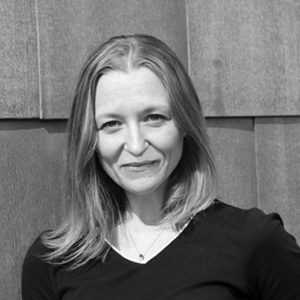 Maria Jasin is biomedical researcher at Memorial Sloan Kettering Cancer Center (MSK) in New York, where she holds the William E. Snee Chair in the Developmental Biology Program. 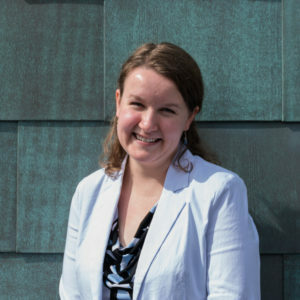 Research in her laboratory focuses on DNA recombination and the relationship to the maintenance of genomic integrity and cancer, targeted genome modification, and meiosis. Discoveries from her laboratory include defining how chromosome double-strand breaks are repaired, accomplishing the first “gene editing” experiment, and determining a role for the breast cancer suppressors BRCA1 and BRCA2 in recombination. She obtained a Ph.D. from the Massachusetts Institute of Technology performing thesis research in course VII the laboratory of Paul Schimmel. 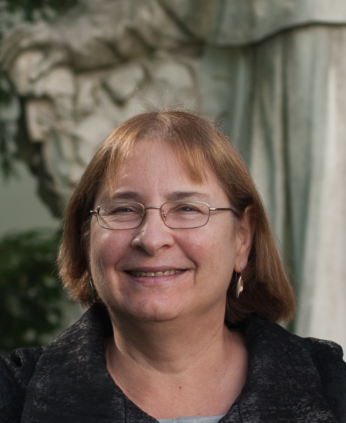 Postdoctoral research was performed at the University of Zürich in Walter Schaffner’s laboratory and Stanford University in Paul Berg’s laboratory in the Department of Biochemistry in the Stanford Medical School before starting her own lab in New York in 1990. In addition to her MSK appointment, she also has an appointment in the Weill Cornell Graduate School of Medical Sciences. 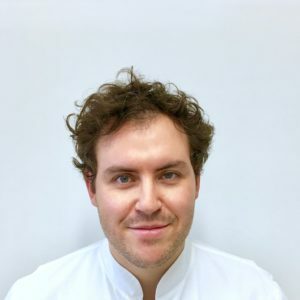 Luca is an Assistant Professor at Massachusetts General Hospital and Harvard Medical School. He received his BA,MA and Phd in Computer Science and Mathematics from the University of Palermo in Italy. He had the good fortune to be part of the “omics” revolution and the opportunity to work on many computationally-challenging problems since he was an undergraduate student. During his postdoctoral research at Dana-Farber Cancer Institute/Harvard School of Public Health, he studied the role of chromatin structure in gene regulation and developed computational methods for single cell analysis and epigenomics. 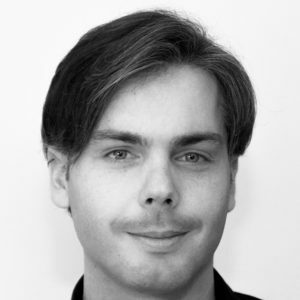 He has a background in computer science and extensive experience in machine learning, data mining and web technologies. His research program uses computational approaches to systematically analyze the sources of variation that affect gene regulation: epigenetic variation, genetic variation and (single-cell) gene expression variability. 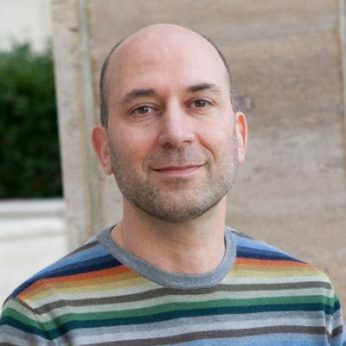 He is actively involved in the single-cell community and he is part of the Human Cell Atlas initiative, proposing computational strategies to model gene expression variability, its relationship with chromatin accessibility and DNA methylation, and to reconstruct developmental trajectories (http://stream.pinellolab.org). He fully embraced the revolution in functional genomics made possible by the novel genome editing approaches such as CRISPR/Cas9. He developed computational tools to quantify and visualize the outcome of genome editing experiments, that are nowadays the standard the facto for the community (http://crispresso2.pinellolab.org). He also a subgroup coordinator for the NIST Consortium on genome editing. His contributions center on defining standards for data obtained from genome editing experiments. In his free time, he likes to hike, play his guitar and roast green coffee. 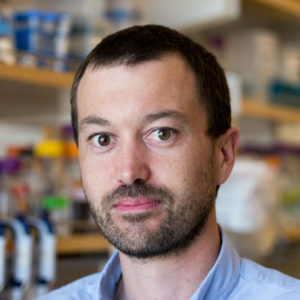 David F. Savage is an Associate Professor of Biochemistry, Biophysics, and Structural Biology in the Department of Molecular & Cell Biology at the University of California, Berkeley. As an undergraduate, Dave attended Gustavus Adolphus College, where he majored in Chemistry and minored in Computer Science. 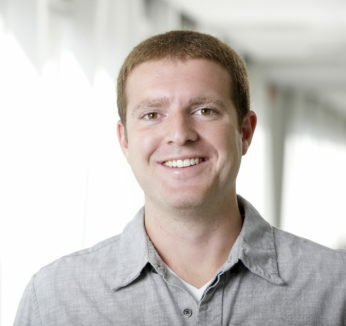 He received his Ph.D. in 2007 from UCSF for his work on membrane protein structure determination with Robert Stroud. From 2007 to 2011 Dave was a Life Sciences Research Foundation fellow with Pamela Silver in the Department of Systems Biology at Harvard Medical School. 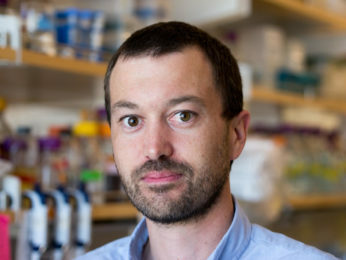 At Berkeley, his lab focuses on developing new tools for the understanding and engineering of biology with an emphasis on the protein machineries associated with genome editing and CO2 assimilation. 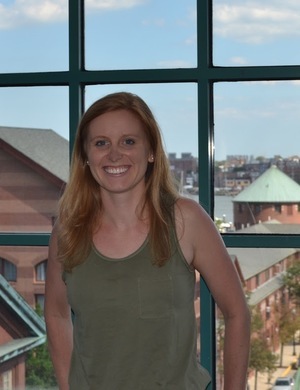 Maggie is a postdoctoral fellow at Massachusetts General Hospital (MGH) and Harvard Medical School (HMS) in Dr. J. Keith Joung’s lab. Her current work involves refining CRISPR/Cas systems for targeting RNA. 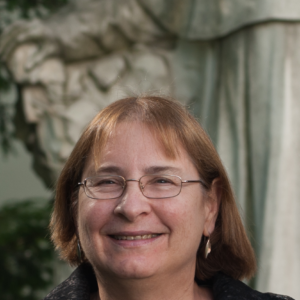 Maggie received her PhD in biology from City of Hope Medical Center in Los Angeles, CA where she studied chemical modifications of mRNA and RNA aptamer development in Dr. John Rossi’s laboratory. 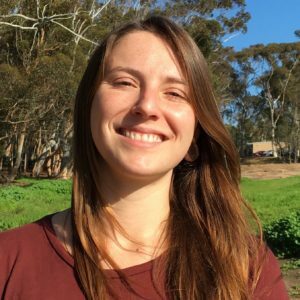 Jessie grew up in San Diego, CA and received her BS in Biochemistry/Chemistry from UC San Diego. 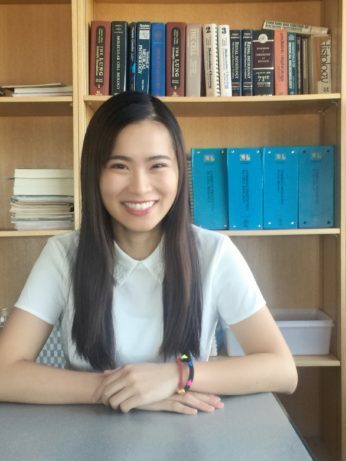 She is currently pursuing her Ph.D. in the laboratory of David R. Liu and is developing methods for enhanced delivery of Cas9 and base editor RNP in vivo. 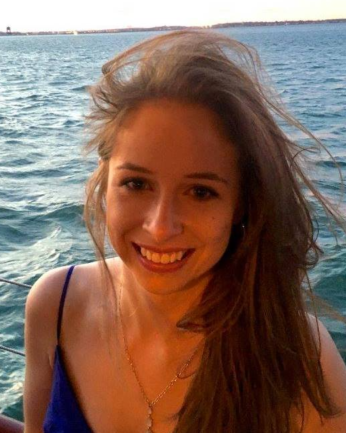 Jordan is originally from Monroeville, PA. She attended the University of Pennsylvania, where she received a BA in Biochemistry and a Master’s in Chemistry. Now pursuing her PhD in Professor David Liu’s lab, Jordan is working on expanding the capabilities and efficiency of base editing. 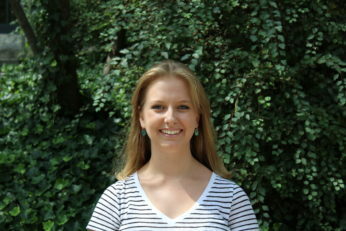 She is currently supported by an NSF GRFP Fellowship and a Hertz Fellowship. 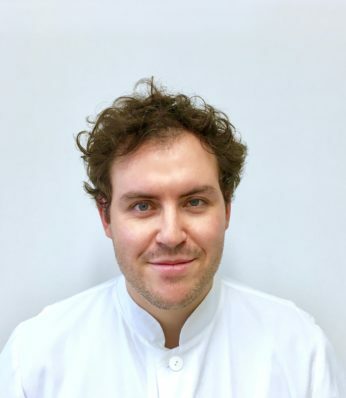 Julian Grünewald is a research fellow in Keith Joung’s laboratory at the Massachussets General Hospital and Harvard Medical School. His current work is focused on developing new tools for the CRISPR-derived base editing platform. Julian holds an M.D. from the University of Freiburg (Germany) and previously worked in the laboratories of Matias Simons and Gerd Walz on cell polarity. His residency in internal medicine inspired him to deepen his understanding of genome editing technology and expedite its clinical translation. 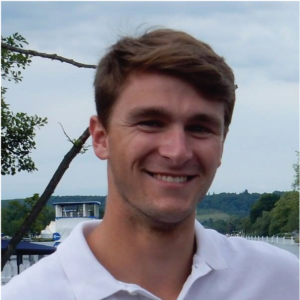 Ben Kleinstiver is an Instructor in Keith Joung’s group at the Massachusetts General Hospital (MGH) and Harvard Medical School (HMS). His research interests are broadly focused on developing and improving genome editing technologies. With a background in protein engineering, he is interested evolving highly targetable nucleases that have enhanced properties. His current work is focused on optimizing, altering, and defining the specificities of CRISPR-Cas nucleases. Ben completed his Ph.D. at the University of Western Ontario, and is currently supported by an NIH/K99 Pathway to Independence Award. 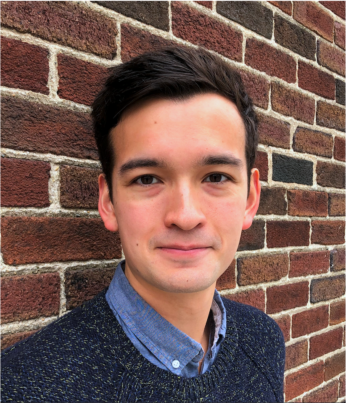 Luke Koblan is a graduate student in David Liu’s lab. Before his time in the Liu Lab, he worked for both Jay Bradner developing cell-based assays for targeted bromodomain inhibition and Todd Golub on a serine protease-profiling project. These experiences led to an interest in using technology development as a platform to illuminate new biology. 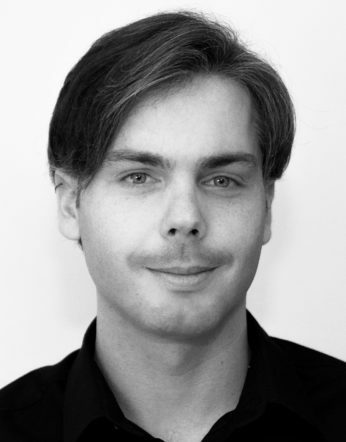 His current work is focused on improving current base editing technologies and developing novel editors. He is supported by an NSF GRFP fellowship. Shannon is originally from the northern Chicago suburb of Lindenhurst, IL. 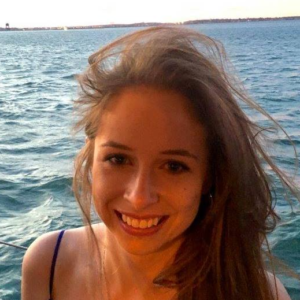 She attended the University of Illinois at Urbana-Champaign for undergraduate studies and double majored in integrative biology and chemistry. 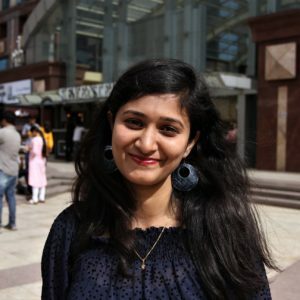 This fostered an interest in bridging chemistry, genetics, and evolution which naturally brought her to Liu lab once she joined the department of Chemistry and Chemical biology at Harvard University where she is working on the evolution and applications of Cas9 for genome editing. 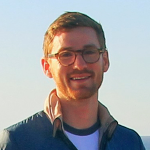 Jeffrey J. Quinn is a postdoctoral fellow at UCSF in Dr. Jonathan Weissman’s lab, where he engineers CRISPR-enabled technologies for studying cancer. 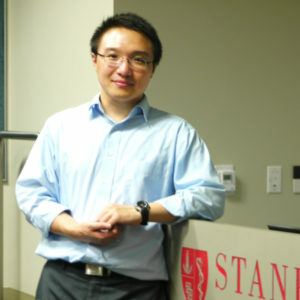 He received his Ph.D. in Bioengineering from Stanford, where he studied the genetics, molecular biology, and evolution of long noncoding RNAs in Dr. Howard Chang’s lab. He is supported by the NIH Kirschstein National Research Service Award. 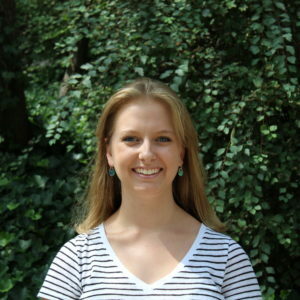 Peyton is from Great Falls, Virginia and received a BS in Biochemistry from the University of Virginia. 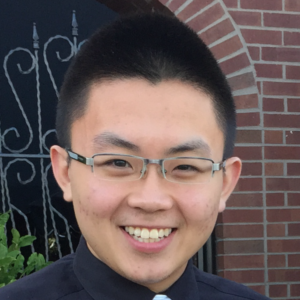 He is now pursuing a PhD in Chemical Biology in Professor David Liu’s group and is working to evolve Cas9 for expanded base editing capabilities. Weixin obtained her bachelor’s degree in Chemistry and Biology from Tsinghua University, China. 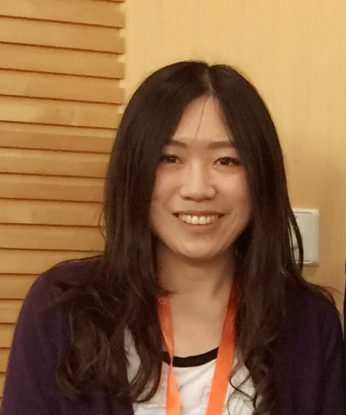 After graduation, Weixin moved to the States and conducted her PhD research under the supervision of Prof. Wilfred van der Donk at the Department of Chemistry of the University of Illinois, Urbana-Champaign, where she worked on ribosomal natural products with post-transnational modifications. 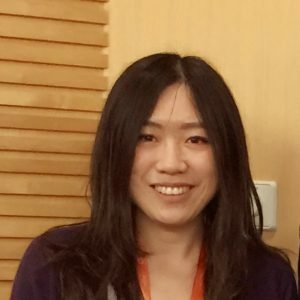 As a postdoc fellow in Prof. David Liu’s lab at the Broad Institute, Weixin is now focusing on the application of precise genome-editing tools for synthetic memory construction. 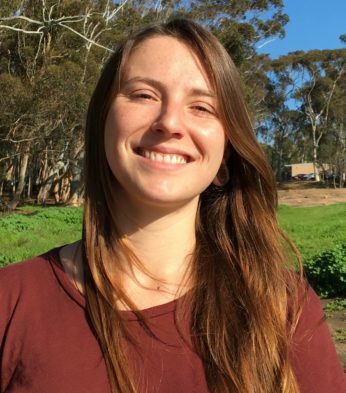 Dian is a postdoc fellow in Jonathan Weissman’s group at UCSF. 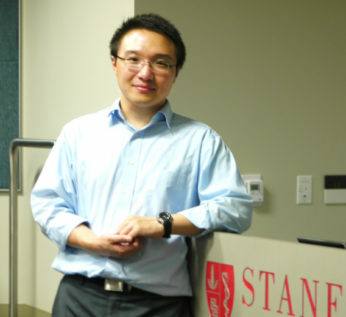 During his Ph.D., Dian studied the molecular mechanisms of cancer metastasis under the supervision of Prof. Monte Winslow and Prof. Julien Sage at Stanford University. Dian has a broad interest in cancer biology and would like to develop and apply novel genome engineering tools to address unsolved challenges in cancer biology. Kevin grew up in a Chicago suburb and completed his undergraduate degree at Northwestern University. He worked with Professor Richard Silverman to develop orthogonal probes and small molecules to study/treat ALS. 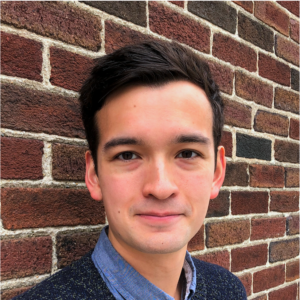 From this experience, he developed an interest in chemical biology research, leading him to enroll in Harvard’s Chemistry and Chemical Biology PhD program. 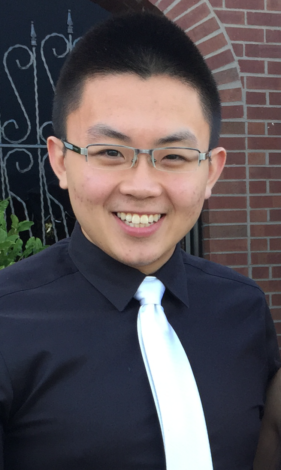 Here, he works with Professor David Liu on developing and applying CRISPR-Cas9 base editing technologies. Ronghao was born in Nanjing, China and came to Boston in 2009 for high school. She graduated from Wellesley College with majors in Chemistry and Mathematics. 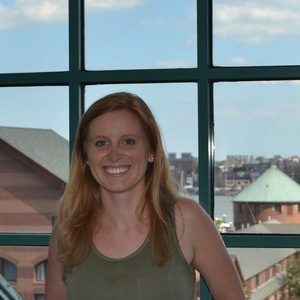 She currently works in the Joung lab at MGH on genome editing and engineering. 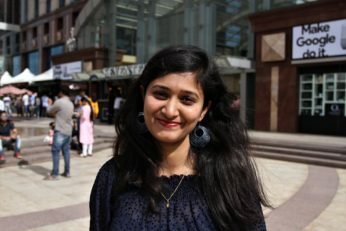 Her research interest is on the application of gene editing tools.